Sun City Tree Farm is a 140 acre container Tree farm located in Ruskin Fl. We specialize in growing quality container trees for the southeastern United States. 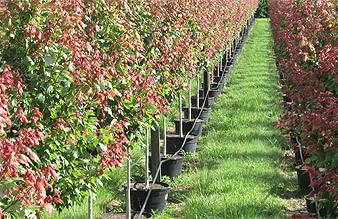 We take pride in growing quality trees that range from 15 to 200gal. Sun City Tree Farm has provided quality tree material to many high end landscape projects including Walt Disney World, The Dali museum and many others. Sun City Tree Farm is a family owned business that was founded in 1988 by two bothers named JC and Eric Tort along with their father Henry. The family’s roots began in the citrus industry in the 1970’s. When the citrus industry fell on hard economic times in the 1980’s the family decided to phase out of the citrus industry and into Tree farming geared towards new construction. The family decided to grow many different species of trees for Landscape Contractors including the European Olive Tree along with many Florida native trees.